An unique shade of indigo blue, this handwoven cotton fabric echoes an bright earthy feel. The fabric is a perfect choice for bold yet comfortable look. A pure handwoven cotton fabric, this material is comfortable for everyday wear. With fast colours and low maintenance, it has a wonderful feel perfect for every wardrobe. The contemporary designs and colour range makes them a fashionable choice for all kinds of garments. 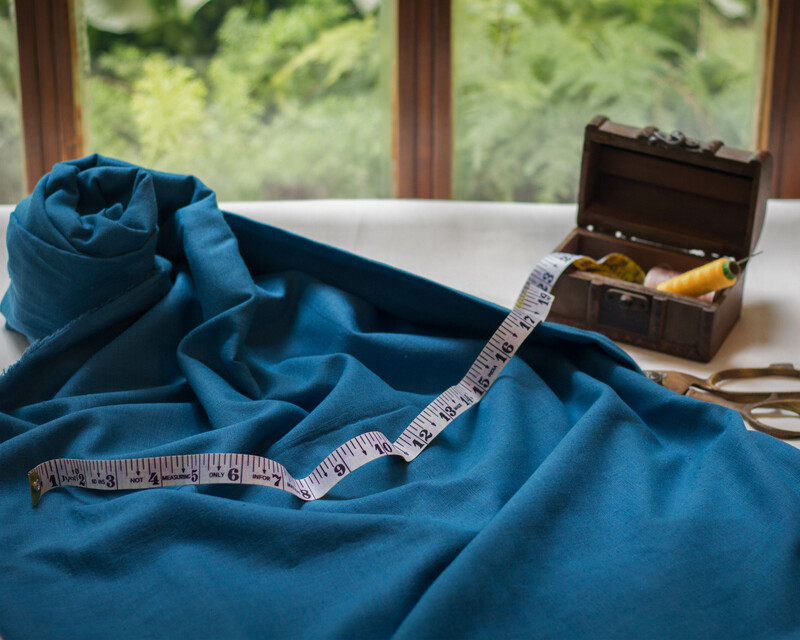 Available by the meter these fabrics are sure to add to the luxury of any tailored ensembles.